I love this book. It is absolutely the perfect book for kids who say they want a "scary story." 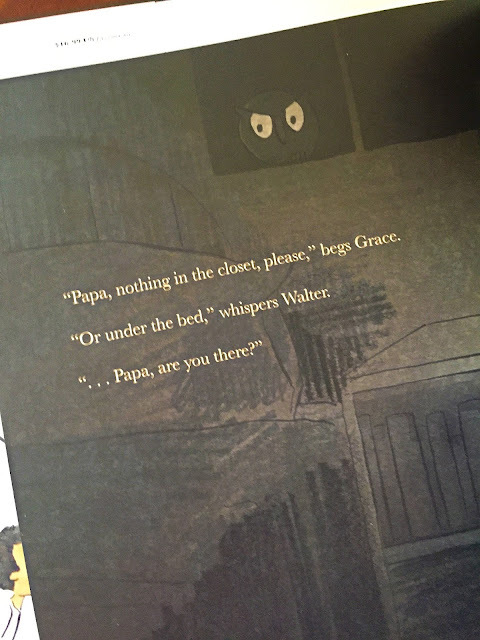 When my daughter was 3-6 she loved the idea of scary. Not sure where it came from but she talked about wanting to hear a scary story all the time. I never read her one because she didn't really want one and I knew that. She was already in my bed every night and I couldn't imagine I would ever be able to get her in her bed after a "scary" story. 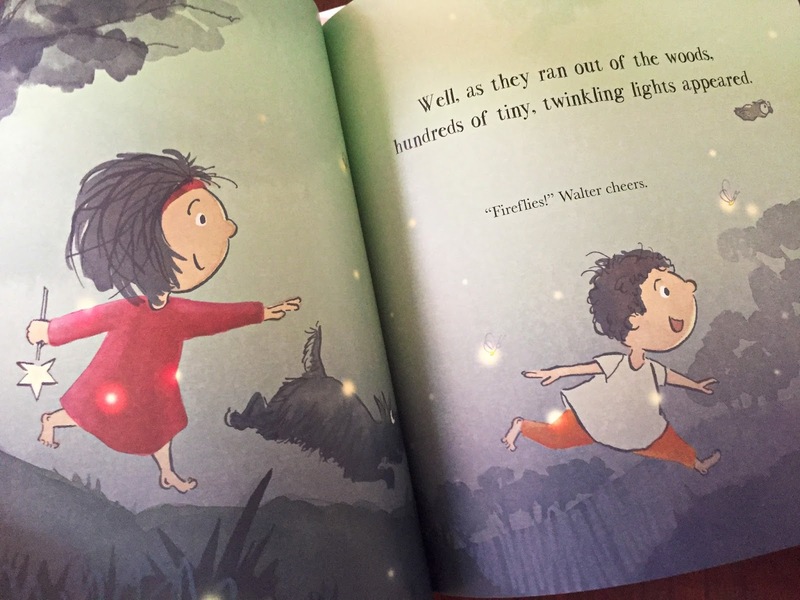 I would have loved this book for her. 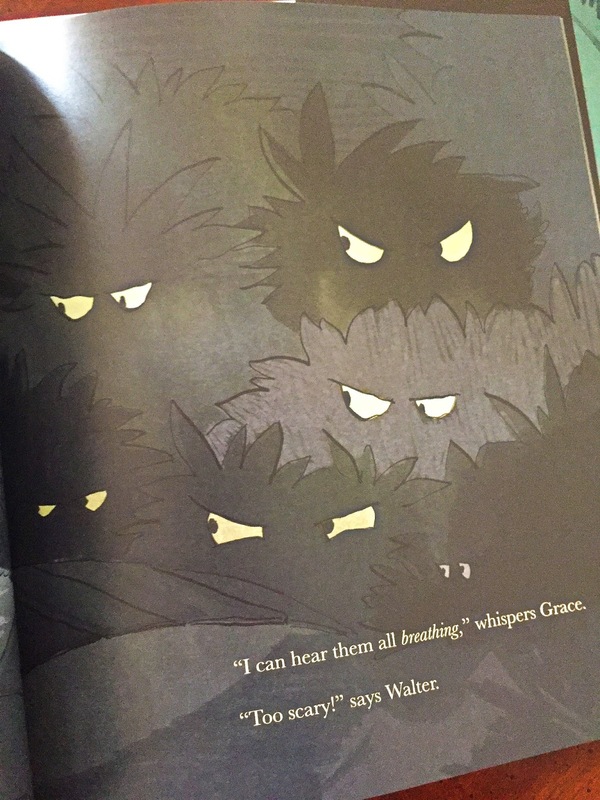 Grace and her brother Walter want their Papa to read them a bedtime story and Grace wants it scary but Walter doesn't want it Too Scary! 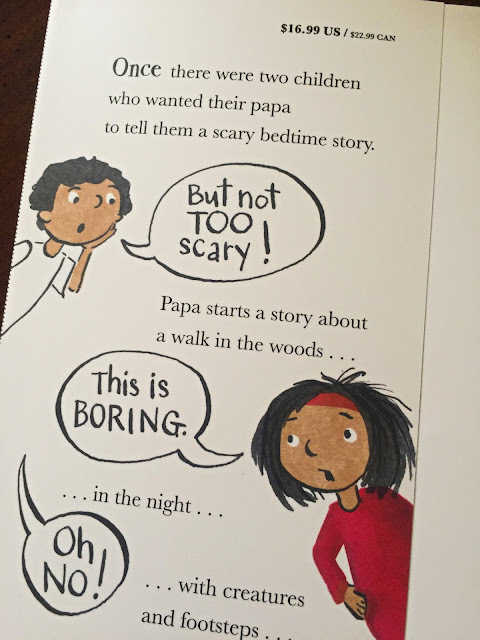 The story takes Grace and her Brother into the woods and along the way they insert their ideas which helps Daddy tell one that isn't Too scary for Walter and his "brave" sister. 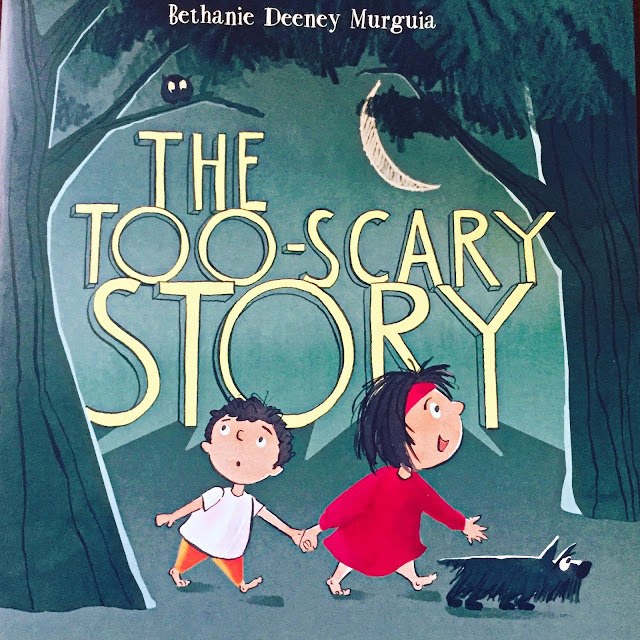 Absolutely adorable with awesome, sweet illustrations even on the "scary" pages.